Summertime is a busy time on the farm! It’s our very popular berry-picking season. Field trips or farm/orchard tours on a lazy summer day can be fun for kids of all ages … and parents or chaperones! 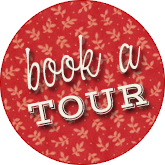 2019 Summer Tours May be Booked Now! Learn about bees and how important they are on a farm. (Later, you can see live bees making honey in the observational bee hive. Bring your lunch (or purchase food from Karen’s Kitchen) and enjoy a lovely picnic. One free teacher per tour plus one free chaperone per two students if not picking berries. If chaperones are picking berries, the cost is $6.50/person. If you have more than 30 total people (children and adults combined), please book multiple tour times. We are unable to accommodate more than 30 people per tour. Please dress appropriately for a day outdoors. You may want a hat, sunglasses, and sunscreen. Wear comfortable shoes and remember that you may encounter some mud after a rain. We highly recommend having each person bring a water bottle. We’ll provide a large water cooler for re-fills.